It may take a few days for the smoke to clear and we learn all of the subtleties tucked inside New York State’s budget for the fiscal year, which was passed at the dawn’s early light on Monday. While far from being an austerity program, the $175.5 billion spending plan reflects the fiscal realities of doing state business at a time of declining income tax revenue. The state’s 700-some school districts will have to make do with $27.9 billion in total aid, about $1 billion more than last year. That includes a $618 increase in foundation aid, which helps schools pay their operating costs, the same increase given a year ago. It’s generous, considering the state already tops the nation in per-student spending. Educators wanted more, but they, too, have to live within limits. The region’s two neediest urban districts received generous bumps in aid: Buffalo got a 3.23 percent funding increase, and Niagara Falls 3.04 percent. The pay raises awarded to Cuomo and Lt. Gov. Kathy Hochul win this week’s award for right decision, wrong way to go about it. The executives’ pay, along with that of the state’s lawmakers, had been unchanged since 1999. A state pay study commission recommended pay raises for the legislators and the heads of top state agencies, as well as for Cuomo and Hochul. The lawmakers got their raises at the start of the year, but a resolution granting Cuomo and Hochul increases in pay wasn’t introduced until around midnight Sunday. The governor’s salary, with stepped up increases, will rise from $179,000 to $250,000 in 2021. Hochul’s will increase from $151,500 to $220,000 by January 2021. 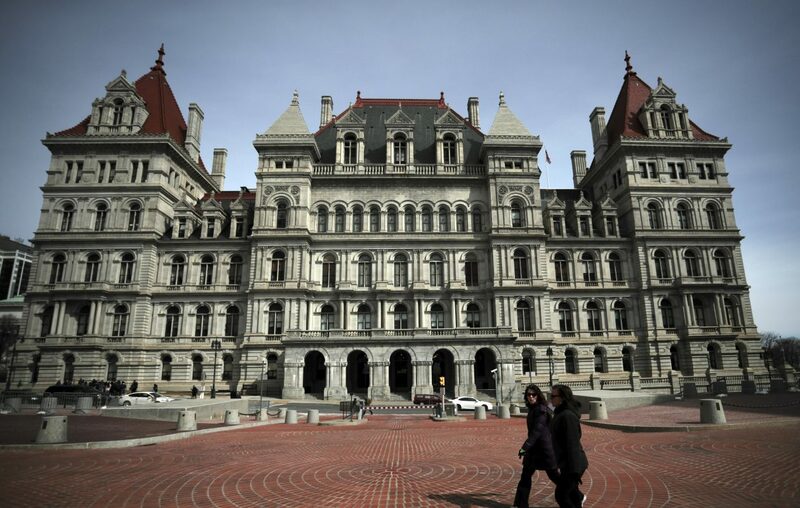 The pay raises are commensurate with the massive responsibilities that come with governing New York, but unveiling them under cover of darkness is not a shining chapter in the annals of Albany transparency. Good judgment prevailed in the postponement of any expansion in the prevailing wage law, which would require any construction project benefiting from any amount of public money or incentive to pay higher wages and adopt more expensive work rules. Democratic lawmakers aren’t about to give up; they will make further attempts to expand the law through stand-alone legislation, which would be a mistake. An expanded wage law would make many products unaffordable and throw speed bumps in the path of the economic progress being made in Western New York. A disappointment was the lack of a cost-of-living pay increase for direct support professionals who work for human services agencies. Their minimum-wage salaries result in an increasing amount of employee turnover, which is disruptive to the patients they serve. Lawmakers split the difference on an unwise proposal to restrict public disclosure of arrest booking information. The plan was scaled back to where police can withhold mugshots of the suspects. Records of arrests are public information for a reason; anything that impairs the public’s right to know is potentially harmful. It remains to be seen if the mugshot restrictions stand up to legal challenges.